Seamus Ludlow (47), a Catholic civilian, who was an unmarried forestry worker from Thistle Cross, Dundalk, County Louth, was killed in the early hours of the morning. He was shot a number of times. [Initially the Irish Republican Army (IRA) was suspected by some members of the Garda Siochana (the Irish police). Later members of Ludlow’s family came to the conclusion that the Ulster Volunteer Force (UVF) / Red Hand Commando (RHC) were responsible. The family have pressed the Iriish government for an Inquiry. The Ulster Volunteer Force (UVF) exploded a bomb at the Rose and Crown public house on the Ormeau Road, Belfast, killing six Catholic civilians and injuring a further 18. A woman member of the Ulster Defence Regiment (UDR) was shot dead by the Irish Republican Army (IRA) during a gun and rocket attack on the UDR base in Clogher, County Tyrone. 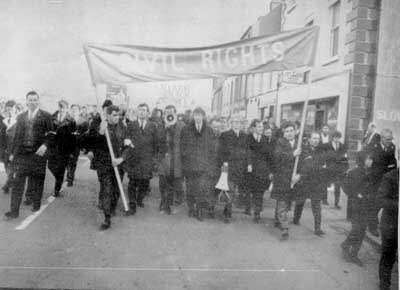 In a last minute attempt to avoid the planned United Unionist Action Council (UUAC) strike Roy Mason, then Secretary of State, met leaders of the UUAC including Ian Paisley and Ernest Baird but the talks broke up without any agreement. Ian Paisley rejected allegations that the UUAC was using the strike as cover to secure independence for Ulster but warned that if it did take place he could not guarantee that intimidation would not take place. At Belfast docks workers decided by a small majority not to support the UUAC strike. In areas of Belfast, including the Shankill and Crumlin Road, there were reports of a number of food vans being hijacked and their contents stolen. In an interview Fred Mulley, then British Defence Secretary, warned that it might be impossible for the Army to maintain essential services. Thomas Passmore, then County Grand Master of the Orange Order in Belfast, alleged that he had received death threats in the wake of his public opposition to the strike. See: The Orange Order – What’s it all about? 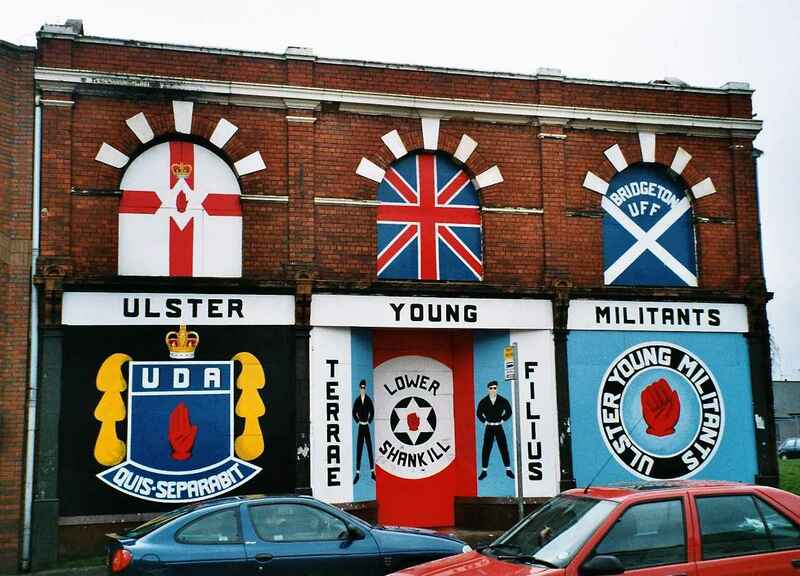 An opinion poll carried out by the British Broadcasting Corporation (BBC) highlighted that although some 78 per cent of people interviewed opposed the UUAC stoppage, 93 per cent of Protestants and 43 per cent of Catholics supported a tougher security response against the IRA. The RUC announce that it had set up a special anti-intimidation squad in order to try to counter the use of the tactic during the proposed strike. Just before midnight, in a reverse of an earlier decision, 400 workers walked out of the Belfast shipyard. The Report of the New Ireland Forum was published. The authors of the report criticised Britain’s policy of ‘crisis management’ since 1968. The report set out three possible options for the future of Northern Ireland: join with the Republic in a United Ireland; joint authority over the region by the Republic of Ireland and Britain; a federal or confederal arrangement. Charles Haughey, then leader of Fianna Fáil (FF), said that unity was the only option. The report rejects the use of violence to achieve political change in Northern Ireland. John Hermon, then Chief Constable of the Royal Ulster Constabulary (RUC), stated that fifty RUC families and 79 Catholic families had their homes fire-bombed by Loyalists between 1 and 26 April 1986. Hermon condemned the attacks and accused some Unionist politicians of “consorting with paramilitary elements”. Conor Cruise O’Brien, formally an Irish Labour Party Minister, announced that he would stand in the forth-coming Northern Ireland elections on behalf of the United Kingdom Unionists (UKU). Loyalist paramilitaries carried out a ‘punishment’ shooting attack on a 34 year old man in Forthriver Road in north Belfast. There were reports in local newspapers that a security force listening device had been planted in a house used by Gerry Kelly, then a senior Sinn Féin (SF) member. Shot during gun and rocket attack on Clogher Ulster Defence Regiment base, County Tyrone. Killed in bomb attack on Rose and Crown Bar, Ormeau Road, Belfast. Injured in bomb attack on Rose and Crown Bar, Ormeau Road, Belfast. He died 11th May 1974. Shot at his workplace, Ardoyne Bus Depot, Ardoyne Road, Belfast. Killed in premature bomb explosion during attack on Springfield Road Royal Ulster Constabulary (RUC) base, Belfast.